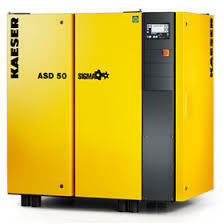 To cater the demands of our customers, we are engaged in offering Oil Free Screw Air Compressor. 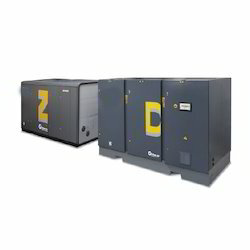 - ZD: Oil-free screw and reciprocating piston compressors, up to 40 bar (580 psig), 136-770 kW / 182-1032 hp. ELGi’s oil free screw air compressors are one among the major outcomes of ELGi’s expertise in manufacturing and marketing of air compressors worldwide for the past 50 years. These compressors are backed by emerging technology that conserves natural resources from pollution.